Welcome back! Today's post of going to be a little picture heavy so I apologize in advance. 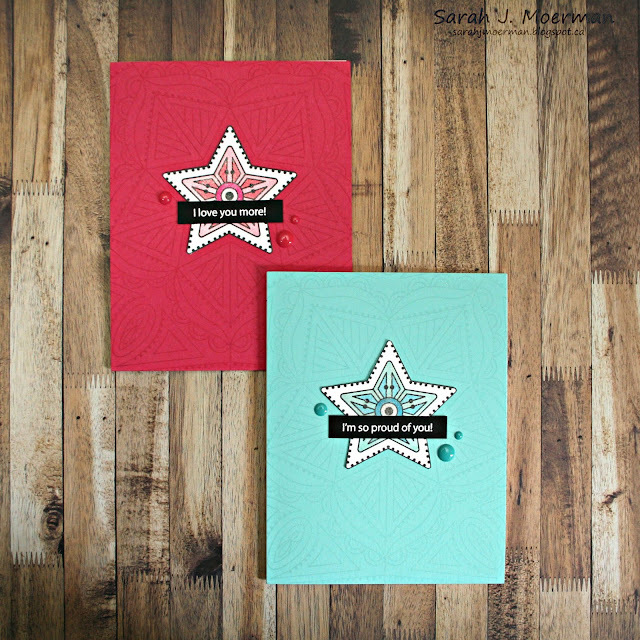 I have two similar card sets to share featuring the Simon Says Stamp Center Cut Heart Stamp and Simon's Center Cut Star Stamp. Each card front was stamped with either the heart or star background stamp in a coordinating ink colour for a tone on tone effect. I then removed the heart and star centers from the background stamps and stamped them multiple times with MFT's Black Licorice Hybrid Ink on Neenah 110 LBWhite Cardstock. 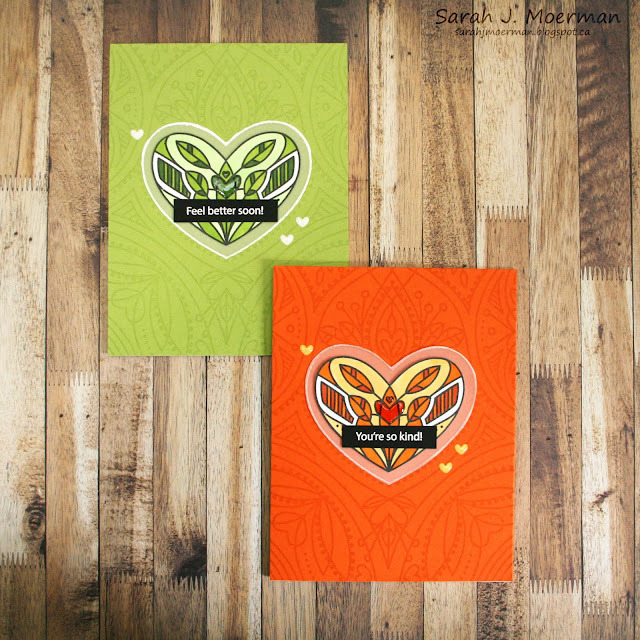 I coloured these with Copic Markers in monochromic colours, cut them out, and adhered them to my card fronts. 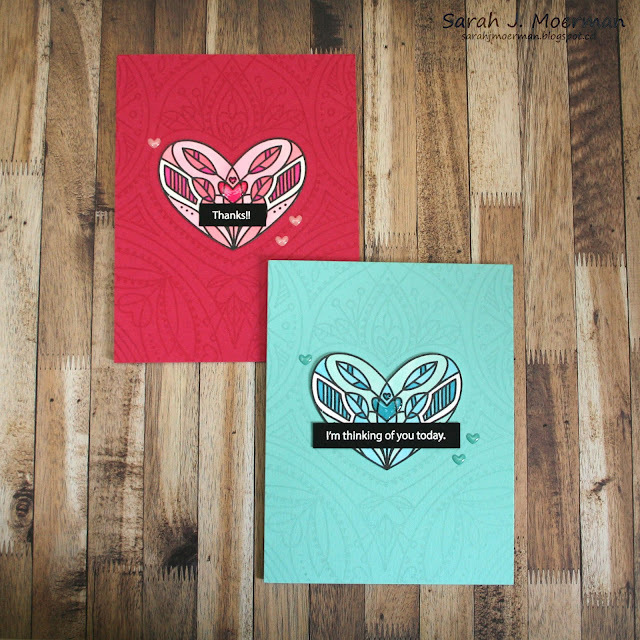 I added some detailing to the hearts with Glossy Accents and the stars with a Wink of Stella Glitter Marker. 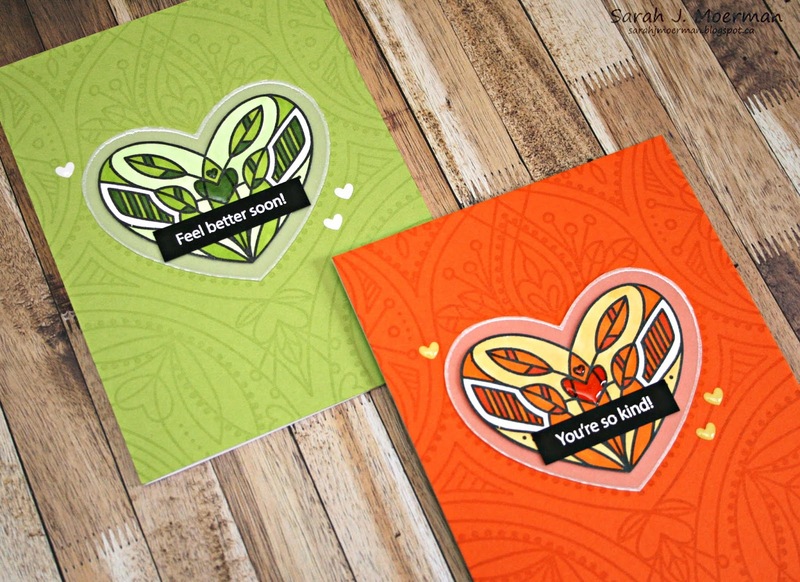 I white heat embossed sentiments using Simon's Messages For Everyday Stamp Set and finished things off with Doodlebug Tiny Hearts Sprinkles and various Enamel Dots. 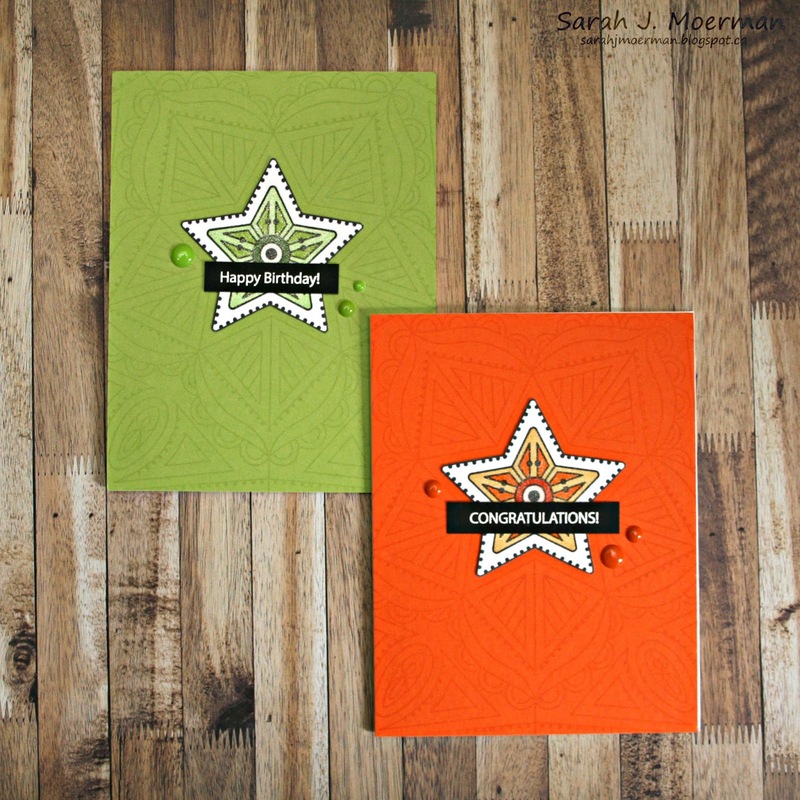 For these two cards I added vellum borders heat embossed with Hero Arts White Satin Pearl Embossing Powder. 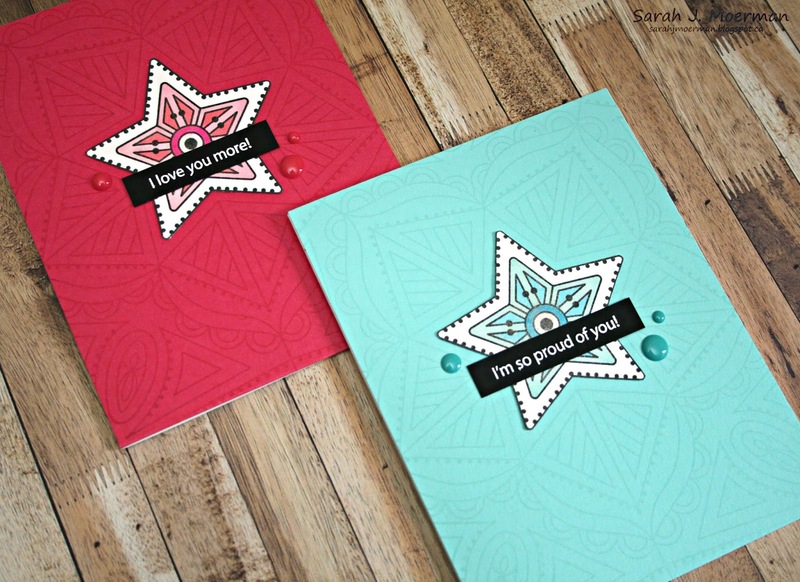 I never know how to use those smaller stamps in a stamp set so this is a great idea. 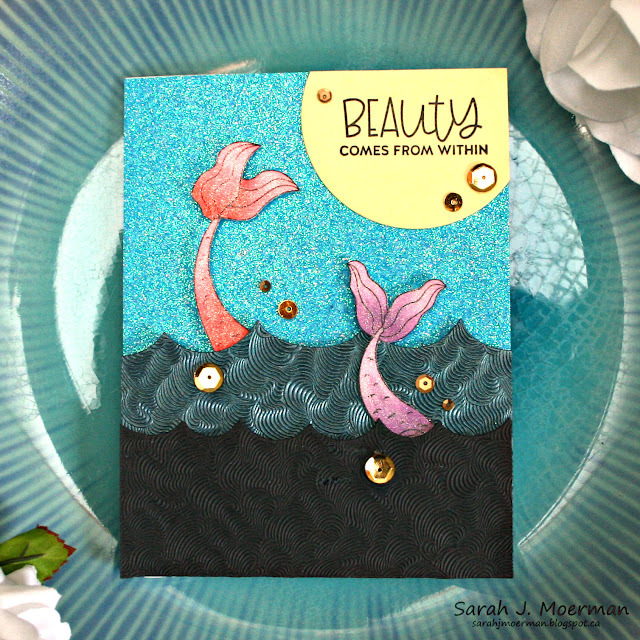 LOVE the sparkly embossing powder and that little seahorse is the cutest! 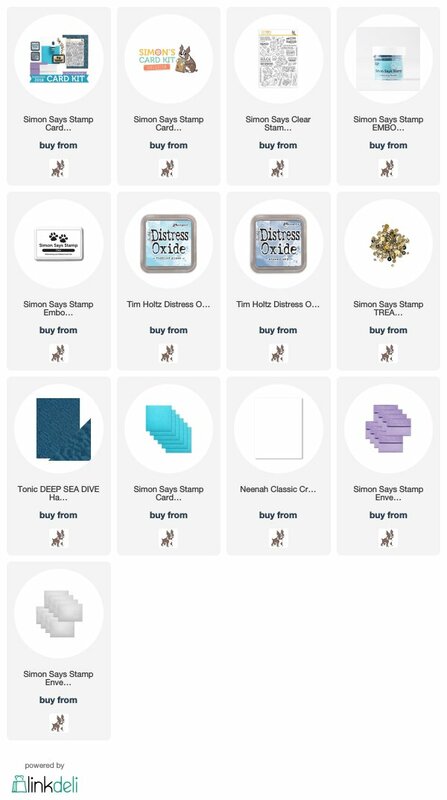 SHartl please message via my side bar with your mailing info so I can pass it on to Simon Says Stamp! 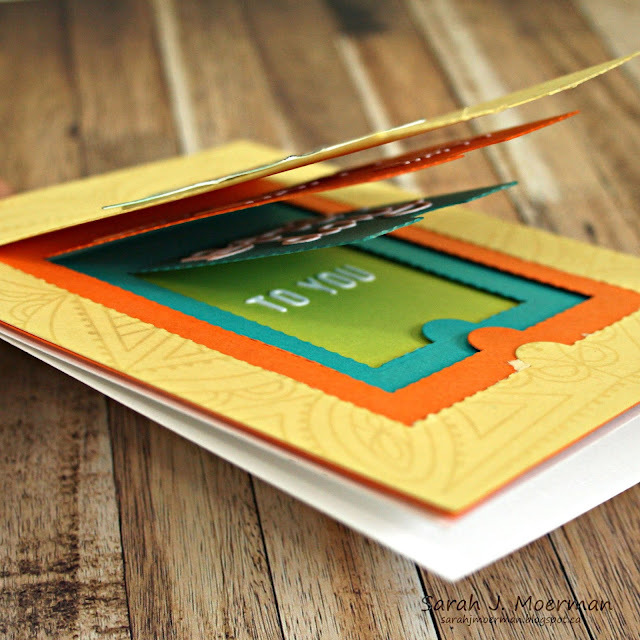 Remember the Simon Says Stamp September Card Kit can be purchased for $34.99 USD + shipping. If you'd like to receive this kit and future kits for $29.99 USD + shipping per month, you can SUBSCRIBE HERE. 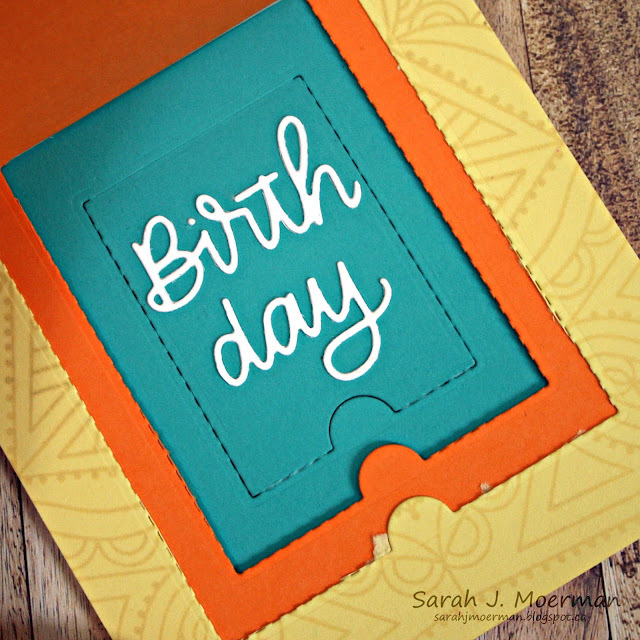 SSS September Card Kit: Boy Birthday Card & GIVEAWAY! I'm back to share another card featuring the Simon Says Stamp September Card Kit: Sea Treasure. I used the Tumbled Glass and Stormy Sky Distress Oxide Inks to cover the background of the card. Once dry, I stamped the smaller images from the Beautiful Mermaids Stamp Set with Simon's Clear Embossing Ink and heat embossed them with Simon's Mermaid Embossing Powder. 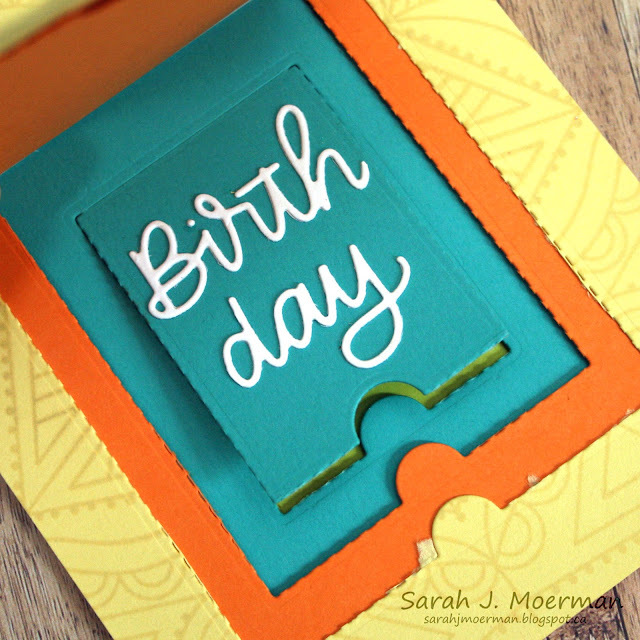 I die cut one of Simon's Wonky Rectangles from Neenah White Cardstock and their Happy Birthday Script from Simon's Aqua Glitter Cardstock. 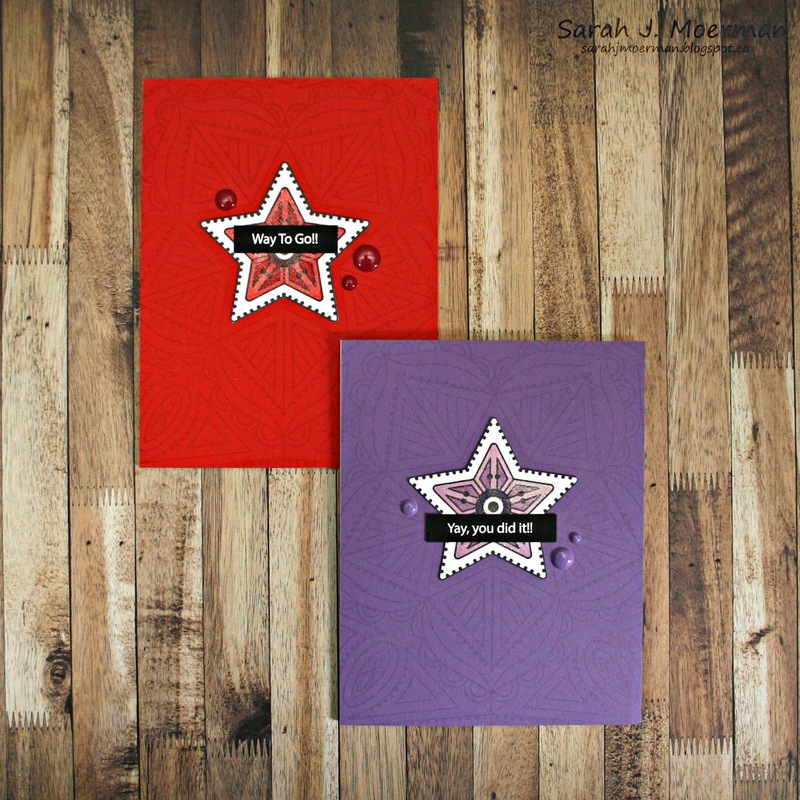 I finished the card off with some Simon Says Stamp Treasure Chest Sequins. The Simon Says Stamp September Card Kit sells for $34.99 USD + shipping. If you'd like to receive this kit and future kits for $29.99 USD + shipping per month, you can SUBSCRIBE HERE. Heidi, owner of Simon Says Stamp, has given me an extra Simon Says Stamp September Card Kit to pass on to one of you! 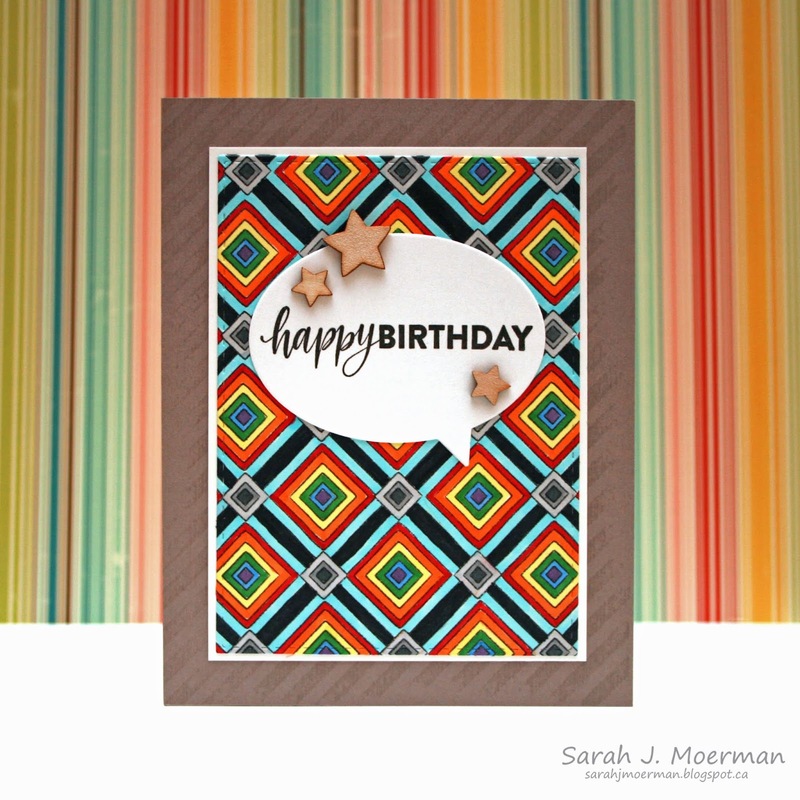 Just leave a comment on any or all of my September Card Kit posts and I'll announce a winner Monday August July 27th. SSS September Card Kit: Beauty & GIVEAWAY! 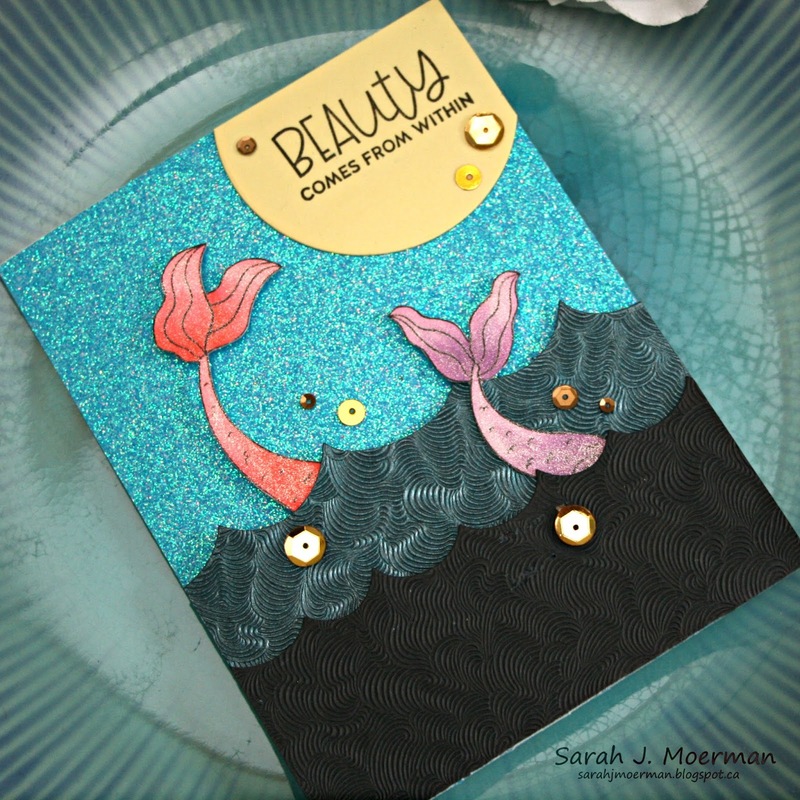 I thought it would be fun to use both the Tonic Deep Sea Dive Paper and Simon Says Stamp Aqua Glitter Cardstock on the same card. I used the Aqua Glitter Cardstock for the sky. The Tonic paper is darker on the back side and I used both sides to create the two layers of waves with Simon's Border Waves Dies. The waves were adhered with foam tape to create dimention. 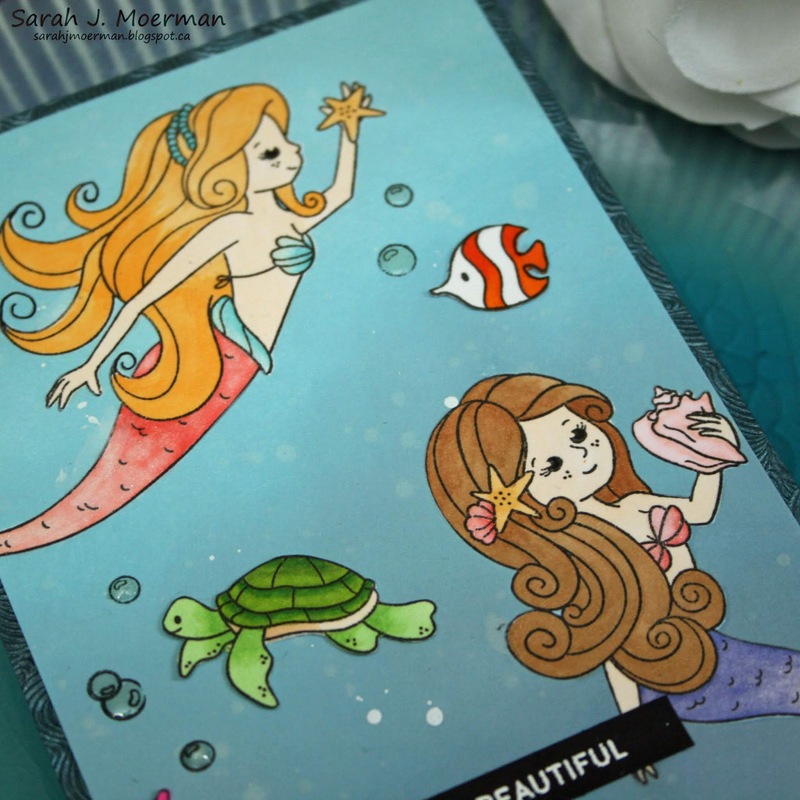 I stamped a couple of the mermaid tales from Simon's Beautiful Mermaids Stamp Set, coloured them with Copic Markers and a Zig Wink of Stella Glitter Marker, and cut them out with scissors. 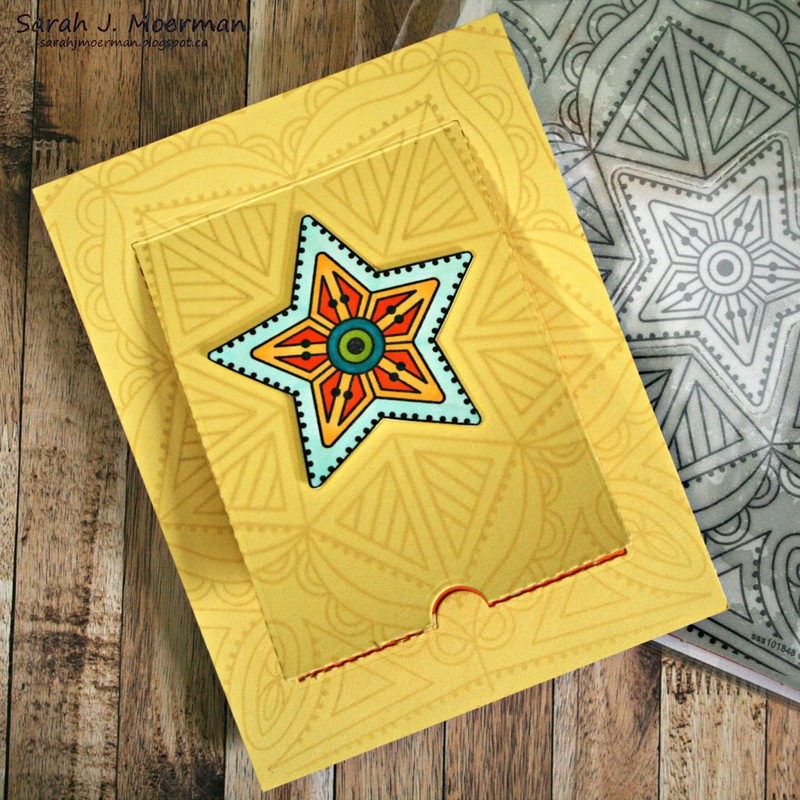 The sun was created by die cutting Simon's Lemon Chiffon Cardstock with one of their Nested Circle Dies. I stamped the sentiment and finished things off with some of the Treasure Chest Sequins. 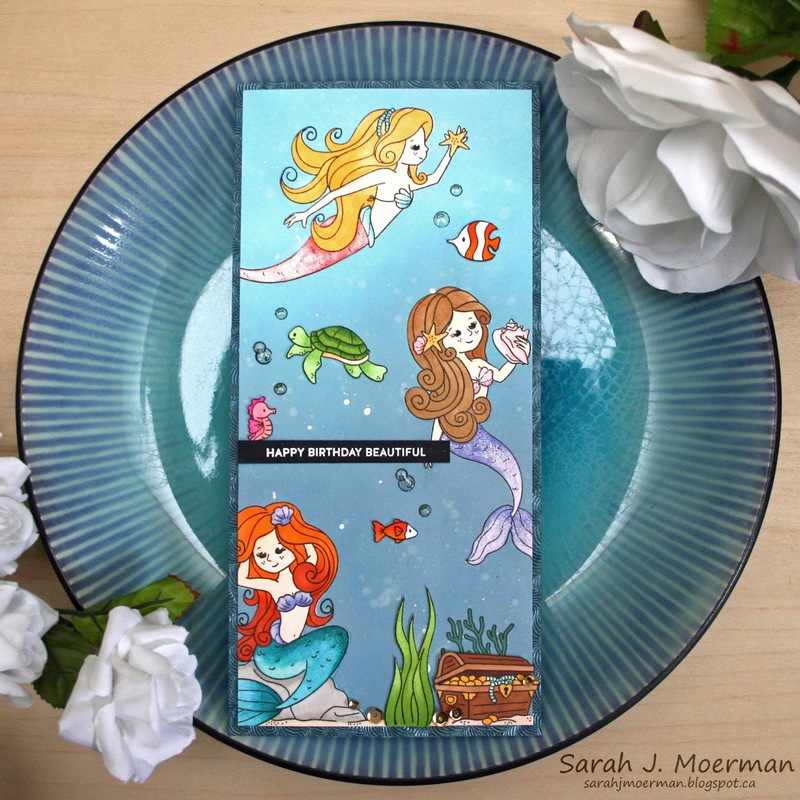 SSS September Card Kit: Mermaid Friends & GIVEAWAY! 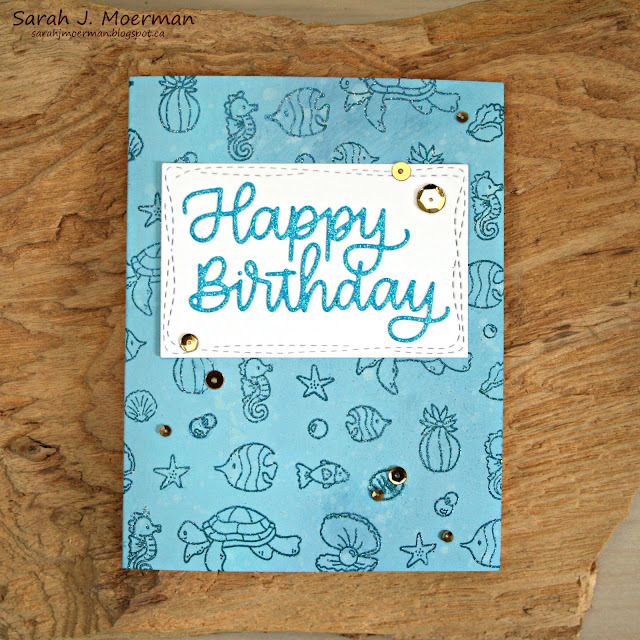 The Simon Says Stamp September Card Kit: Sea Treasure arrived a couple of days ago and I've been crafting up a storm! My first thought was that it'd be fun to use all 3 of the sweet mermaids on one card so I decided to make a card that would fit in a business-sized envelope (4" x 8.5"). 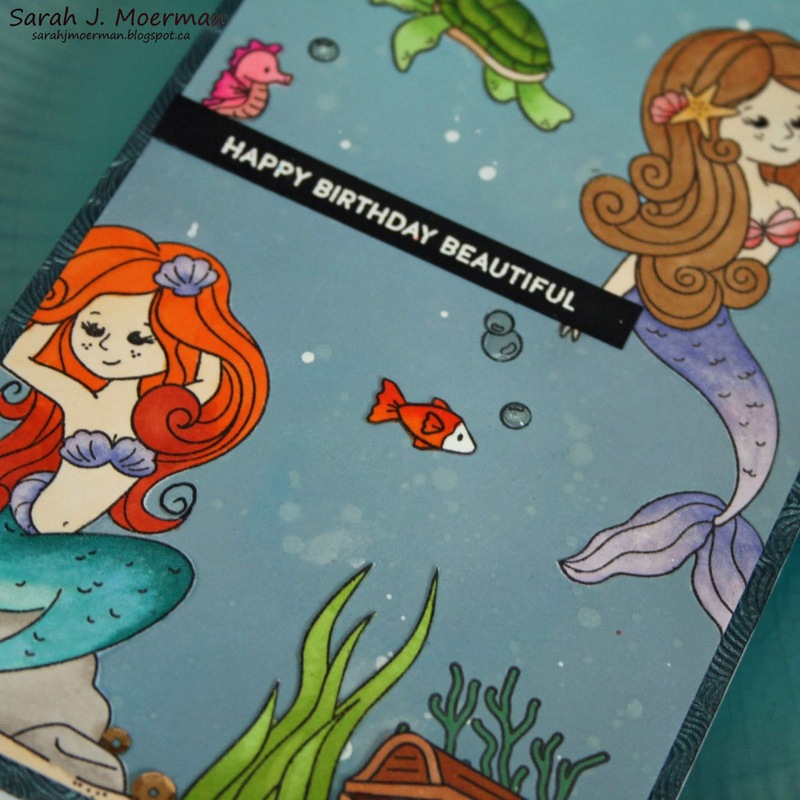 Not incuded in the kit but also available for purchase is a set of dies that coordinate with the Beautiful Mermaids Stamp Set. 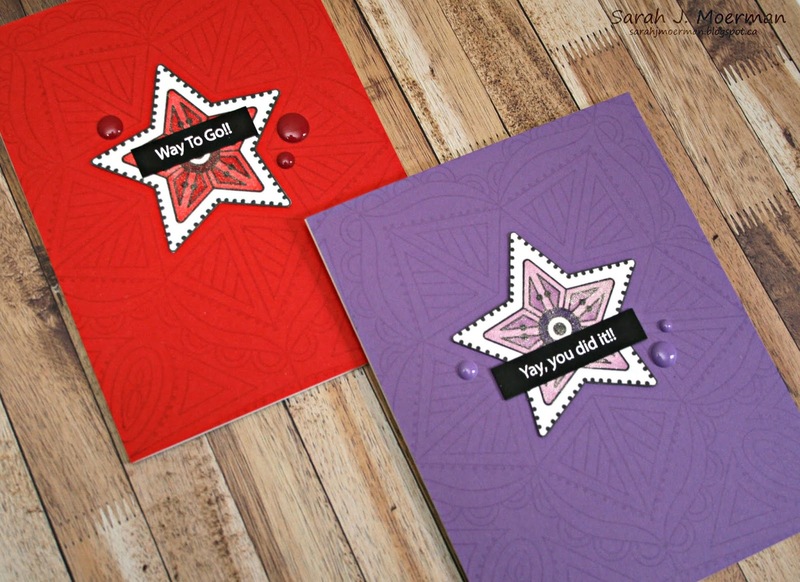 A few weeks ago I shared this card featuring the new Simon Says Stamp Perforated Flaps Dies. 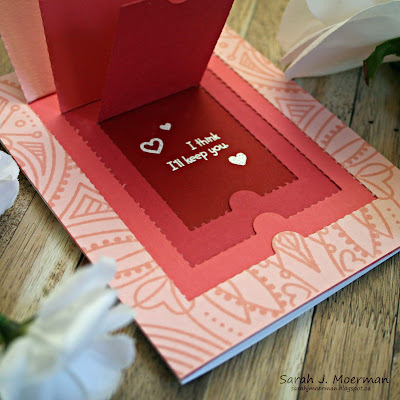 Each flap has either a message or hearts on it. As I was making it I thought it would be the perfect design for my son's birthday card... especially since all he wanted was cold hard cash. Instead of Simon's Center Cut Heart Stamp I used their Center Cut Star Stamp for the front of the card. I used three different sentiment dies from Simon Says Stamp: Happy Birthday, Happy HB, and Happy Birthday Script. 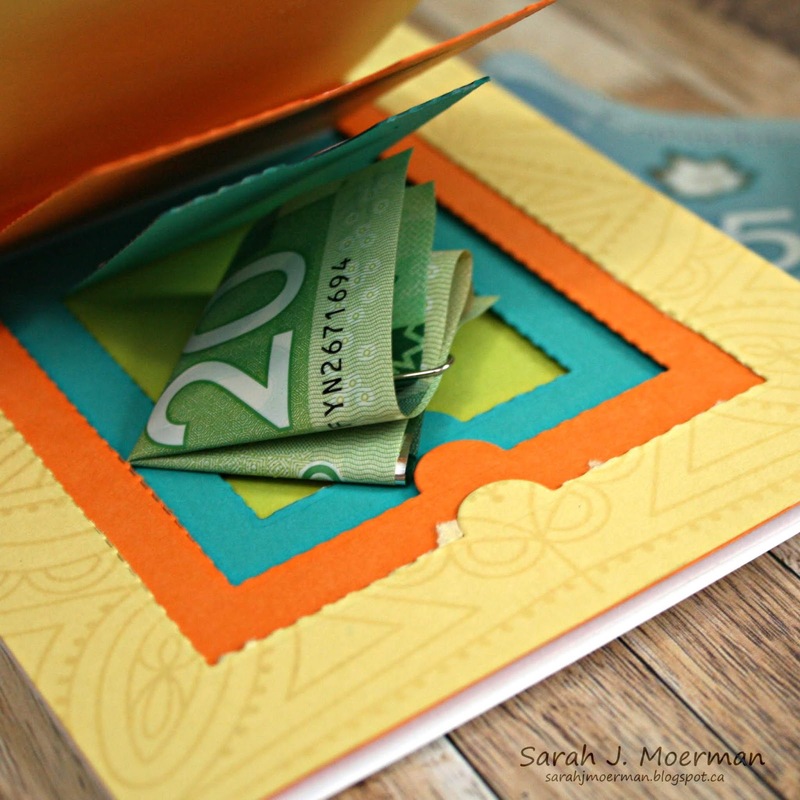 The bottom two flaps were adhered with foam tape so there would be room for the bulkier folded cash. 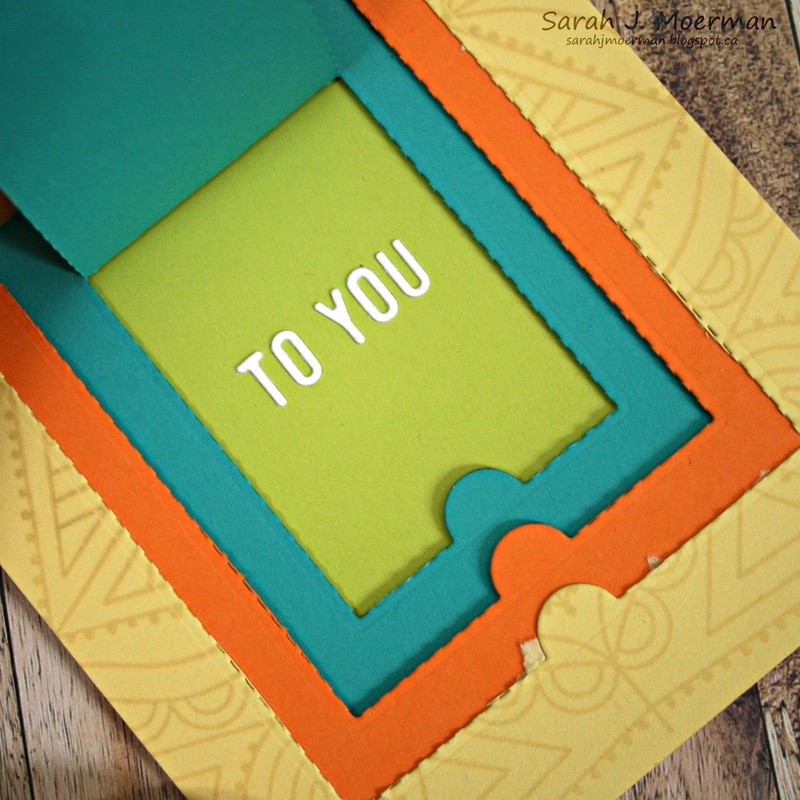 The top flap was big enough that I only had to fold that bill once. Each of the 3 flaps held a bill, each growing in value as he opened them. This boy of mine is very matter of fact in how he talks and so when he said "It's really cool" I got the warm fuzzies. Mission accomplished. I'm popping by to share a card I made some time ago featuring the Simon Says Stamp Deco Diamond Background Stamp. 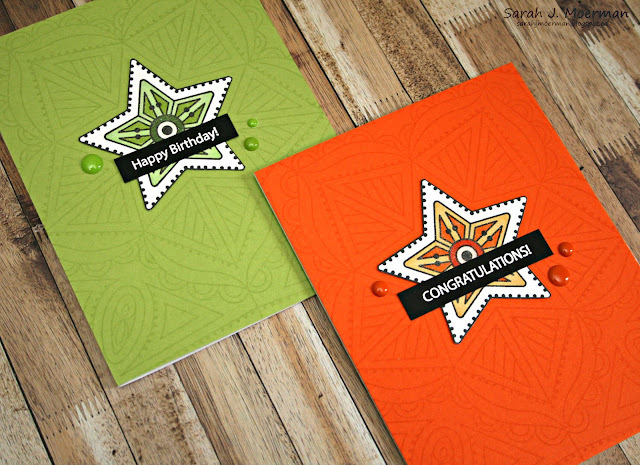 I love background stamps and in particular those with patterns. There's something about repetition and order that gives me feeling of peace. 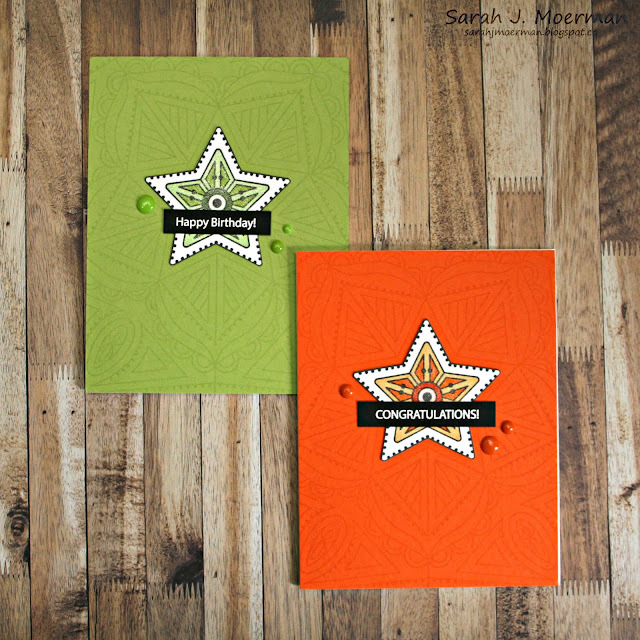 For today's card I stamped the Deco Diamond Stamp onto Neenah 110 lb White Cardstock with MFT Black Licorice Hybrid Ink. I die cut the piece with one of Simon's Stitched Rectangle Dies and coloured it with a rainbow of Copic Markers before matting it onto another piece of white cardstock. 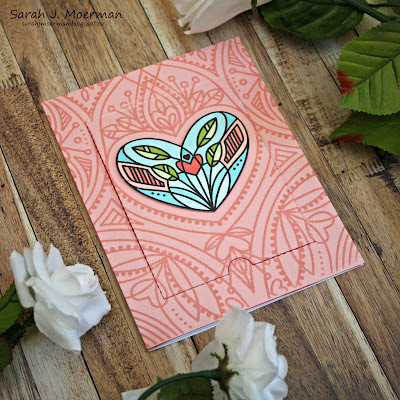 This was adhered to a piece of grey cardstock that had been stamped with Simon's Diagonal Background Stamp using their Fog Dye Ink. 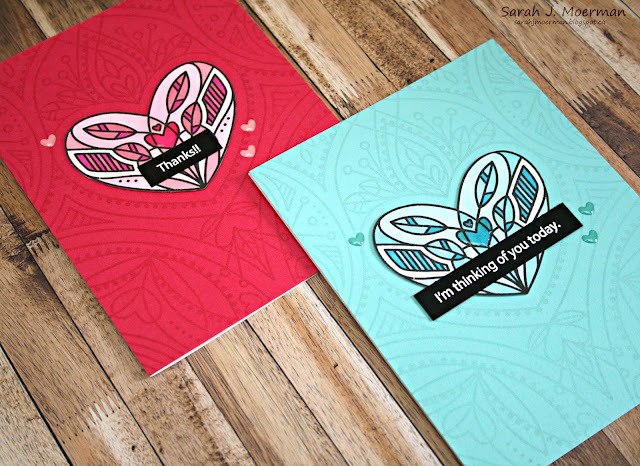 I diecut one of Simon's Nested Talk Bubbles and stamped a sentiment from the Brush Stroke Messages Stamp Set with Versafine Onyx Black Ink. 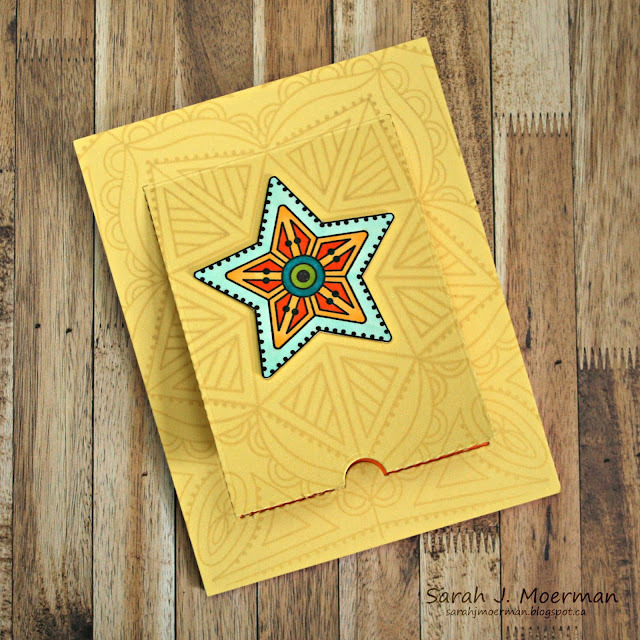 I finished the card off with some Lawn Fawn Wood Veneer Stars. That's it for me today. 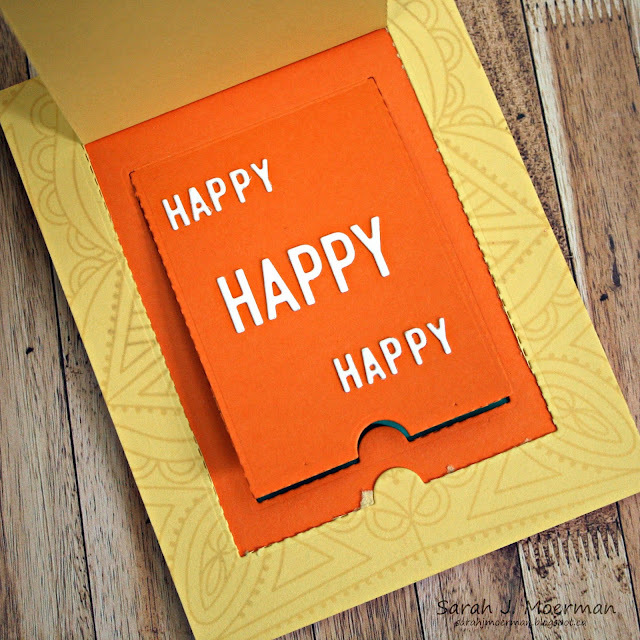 I hope you enjoy your weekend!